This is an original Ai-Thinker ESP32-S module. 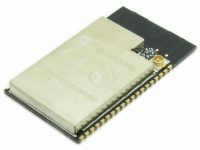 It has an identical footprint to the ESP-WROOM-32(ESP-32S) module, but has an additional IPEX(u.fl) connector. 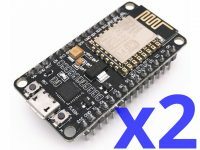 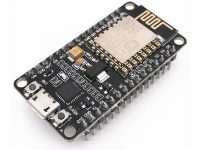 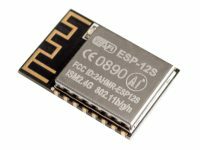 The ESP32-S is a WiFi and Bluetooth module using the popular ESPRESSIF ESP32 chip. The pads on the module have a 1.27mm. 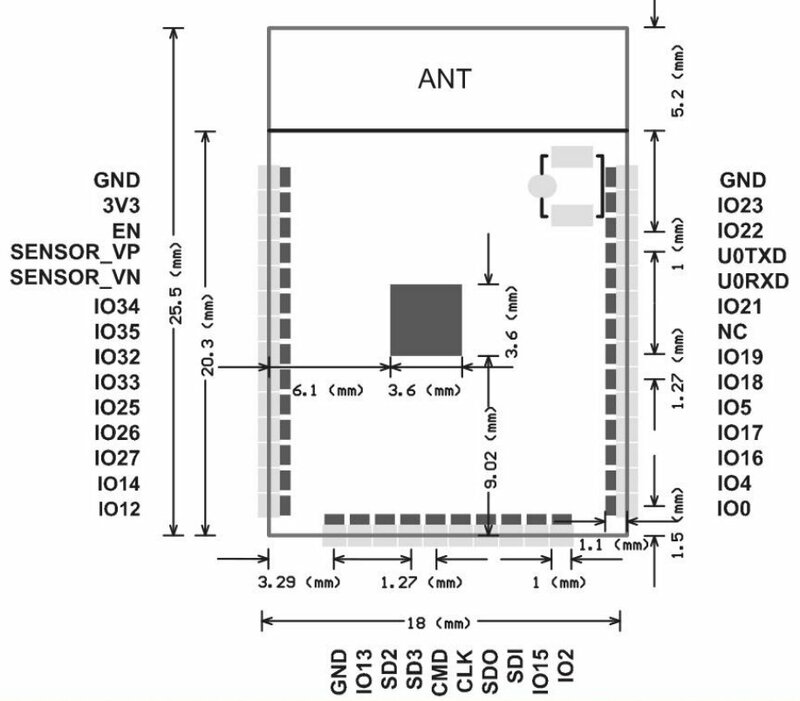 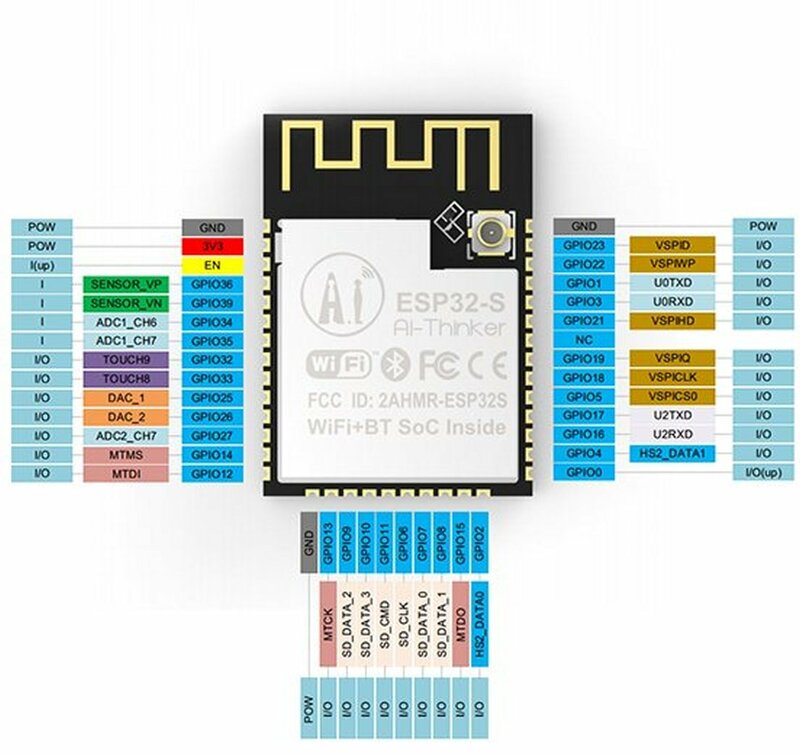 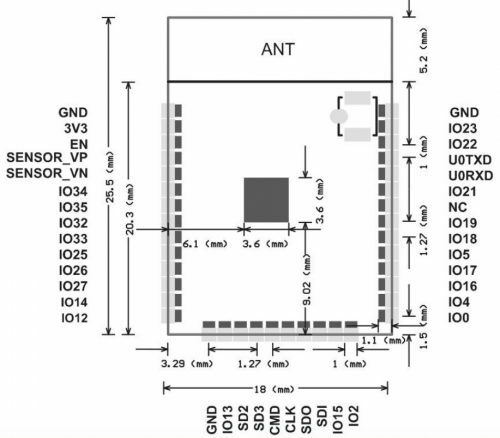 The ESP32 chip integrates a dual-core processor with 448 KByte ROM, 520 KByte SRAM, 16 KByte SRAM in RTC, 802.11 b/g/n/e/I Wi-Fi, Bluetooth v4.2 BR/EDR & BLE, clocks & Times, abundant peripheral Interfaces and security mechanism. 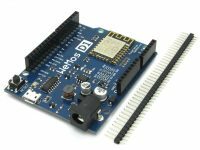 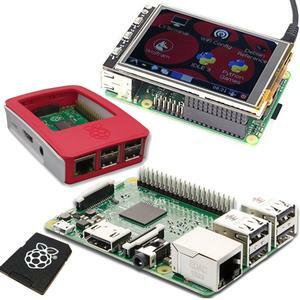 Software can be developed using many different platforms, including Arduino. 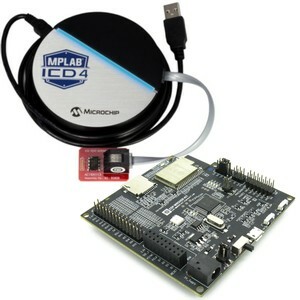 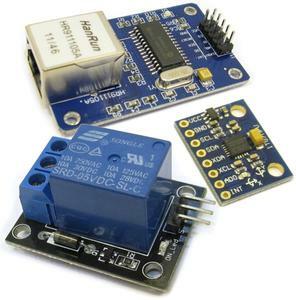 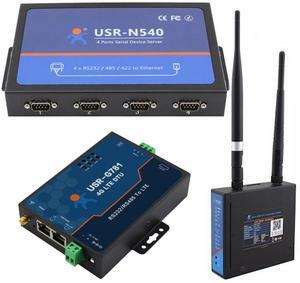 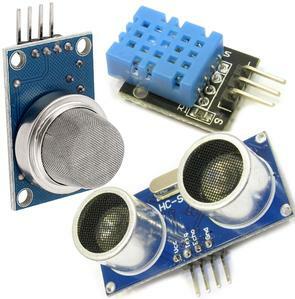 It is designed for Generic low power IoT sensor hub, loggers, video steaming for camera, Wi-Fi & Bluetooth enabled devices, Home automation and mesh network applications, aimed at makers, hardware engineers, software engineers and solution provides. 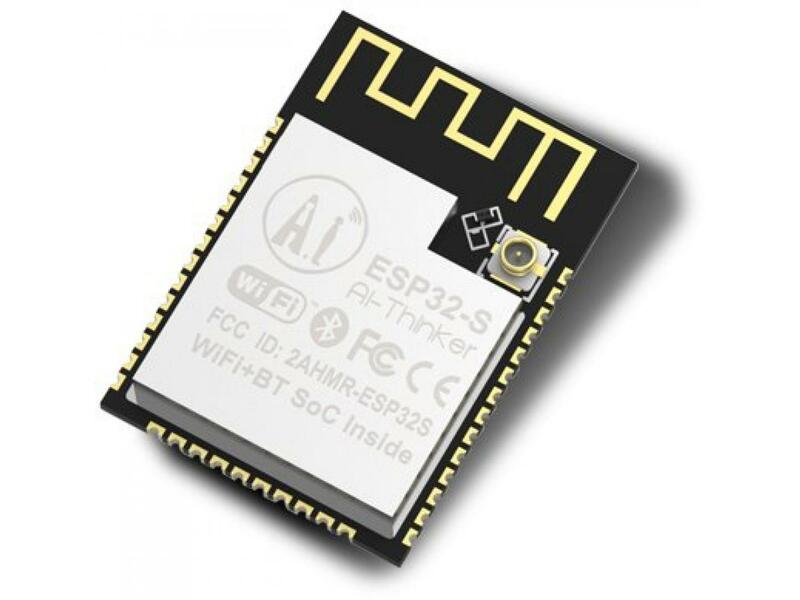 The ESP32 is the most integrated solution for Wi-Fi + Bluetooth applications in the industry with less than 10 external components. ESP32 integrates the antenna switch, RF balun, power amplifier, low noise receive amplifier, filters, and power management modules. 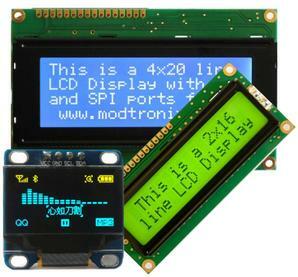 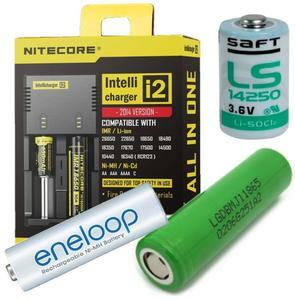 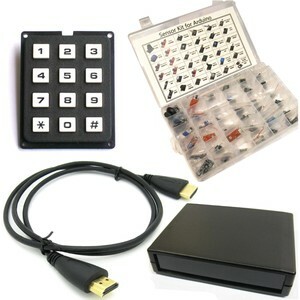 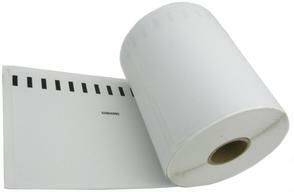 As such, the entire solution occupies minimal Printed Circuit Board (PCB) area. 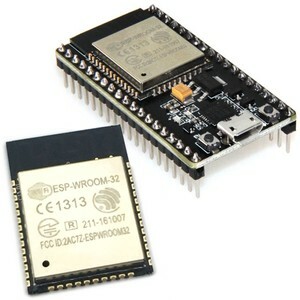 For additional information on the ESP32 see our wiki page. 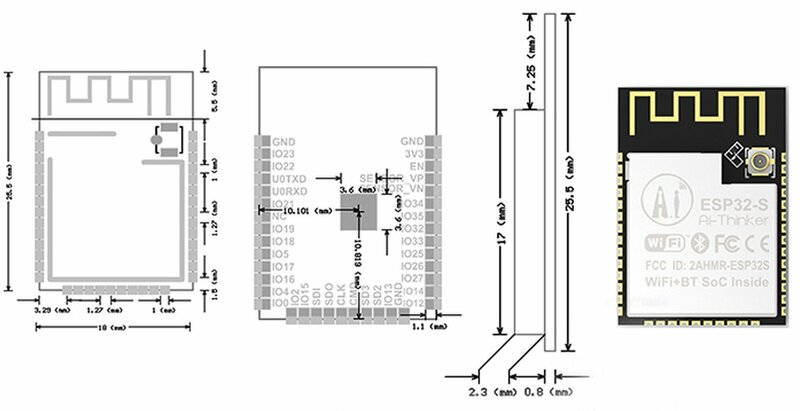 The product datasheet can be downloaded here.